This book can be used by college freshmen in their first semester. There are 30 lessons in this book. All these lessons practice words’ pronunciation, intonation, including rhyme, tones and sentence stress, which help students to lay a solid foundation to listen to and recognize sounds. The author arranged the exercises step by step: the first six lessons focus on practicing rhyme, tones, pronunciation and intonation; Lesson 6~15 provides integrated exercises on pronunciation and tones as well as listening comprehension of dialogues. Lesson 16~30 focuses on practicing dialogues, listening comprehension of short passages and strengthens practicing pronunciation and tones. All the exercises in each lesson are closely correlated with the corresponding grammatical items of Chinese Course and can be used together with it. Both Yang Xuemei and Hu Bo are Associate Professors of the College of Advanced Chinese Training, Beijing Language and Culture University. 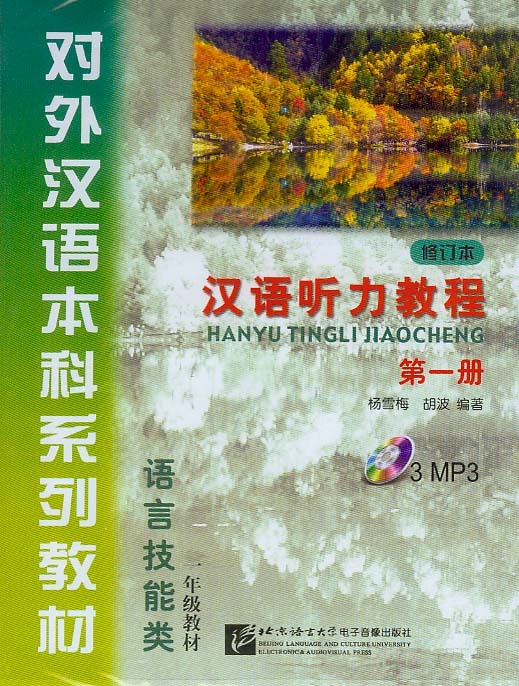 Their co-authored Chinese Listening Course has been used by many educational institutions to teach Chinese both at home and abroad.